The NEW 2019 Peaceful Pill Handbook provides readers with 24 essential Chapters of new, updated information on end of life choices that are peaceful and reliable. The 2nd. 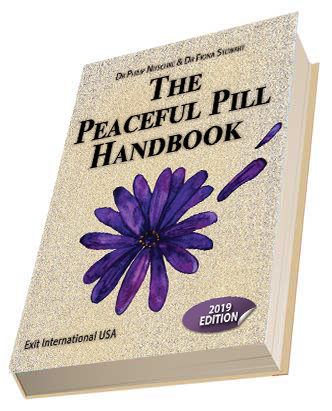 edition of the 2018 print book is based on The online Peaceful Pill eHandbook.